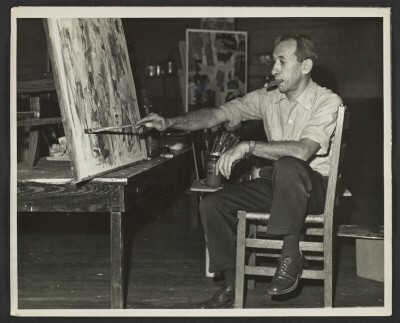 Academically trained like many of his contemporaries, Opper came to New York in 1934, two years after his graduation from Case Western Reserve University in Cleveland, Ohio. By 1937 Opper had become familiar with modernism, though he was not yet converted to the cause. In time, he became known as an Abstract Expressionist, a painter of large canvases in which vertical bands of varying widths pulsed with color. His gesture was controlled, yet dynamic; his overlays of color luminous and tactile. In these works, and in field paintings in which clouds of color seem to float against soft grounds, he strengthened his commitment to "painting as painting" that he first developed as a Hofmann student.